Wage discrimination, the gender pay gap, or salary disparity--whatever you want to call it, the data shows, and has done for decades, across all professional areas, women earn less than men for comparable roles. The problem isn’t going anywhere soon, so what is there to be done about it? In July 2017, an unlikely activist, the Barr Trail Mountain Race (BTMR)--a popular summer Front Range race, made a statement about wage discrimination. Race organizers decided to pay the top three women 20% more prize money than the top three men. Peter Maksimow, BTMR race director, came face to face with the discriminatory treatment women face in mountain, ultra, and trail (MUT) running a few years back. As a member of the U.S. Long Distance Mountain Running Team, he competed in the 2015 Long Distance Mountain Running World Championships at the Zermatt Marathon in Switzerland. He was good enough for 15th place overall in the men’s race. His teammate, Brandy Erholtz, a talented MUT runner, came 15th in the women’s race. On the podium, he turned to Erholtz and commented, “at least we got a little prize money.” Not so for Erholtz. The prize money for women only went to 10th place and above. The pay gap has many roots watered and nurtured by a larger societal view of women as less capable or less worthy of higher salaries. 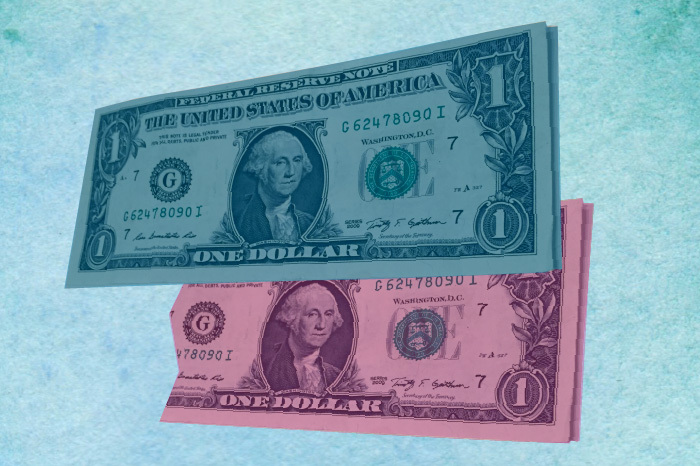 Wage discrimination is further perpetuated by the under-valuing of so-called “pink collar” fields--those professions dominated by women like social work, education, and nursing. Additional contributing realities include the penalization of women for gaps on their resume representative of time out of the labor force for child care, the higher likelihood women will be the primary caregiver for older or unwell family members, the unavailability of paid leave, and implicit bias favoring men when comparing men’s and women’s resumes. These issues, while mighty, are not insurmountable and can be fixed through smart policy solutions. Reparations. Interesting to think about rectifying wage discrimination in this way, isn’t it? I decided to talk to a local civil rights lawyer who has done work in the area of wage discrimination, to learn a little bit more about what this might look like. Sarah Parady, of Lowrey-Parady Law, doesn’t necessarily agree addressing the wage gap should be categorized as reparations. Reparations is a term she feels is best kept for addressing the generational harm, trauma, and economic legacy of state sanctioned slavery. Wage discrimination isn’t a state sponsored institution in the same way slavery was; rather, it is governmental inaction that has allowed the practice to embed itself into the U.S. business mindset. Practically speaking, Parady says, we can’t call the wage gap a function solely of corporate decision making. It reflects a social environment that devalues women’s contribution and has done so for generations. Women are, and continue to be, deeply harmed by the practice and our institutions--while denouncing the pay gap--do little to rectify it. The two jobs must be at the same job site; meaning, a woman doing the same job but at a different work site location would be unlikely to prevail in a lawsuit alleging wage discrimination. Numerous states in the last several years, including Massachusetts, Maryland, California, New York and Oregon have all passed laws to fix these three flaws in the federal FPA. Massachusetts also prohibits asking job applicants for salary history. Many of you may have been asked this on job applications. I know I have. Providing such a history to a prospective employer serves only to perpetuate existing wage disparity between men and women from job to job. Even more concerning, under the federal FPA, an employer could use it as a reason for why they pay you less--a decision based on your salary history not your gender. According to Parady, Colorado is ripe for policies and laws addressing the problems with the federal FPA. Many larger companies are ahead of the curve on this issue as they know the benefits it brings to their workplaces. They are looking for locations with the kinds of wage discrimination prohibitions like Massachusetts or Oregon to set up shop. Much has been done in Colorado concerning anti-discrimination law as it relates to sexual orientation and gender identity. In many ways, Colorado is very progressive in this area. Our economy has recovered from the recession, we are better off than many states, and continue to experience growth. For Parady, there is no good reason why Colorado can’t be out in front of the issue of wage discrimination. Most of the measures seen in other states also don’t have a tax payer price to them, either. A win-win, right? Not so much. In the 2017 legislative session, Congresswoman Faith Winter introduced a bill to establish a payroll tax to fund family medical leave (FML) policies. A policy like Winter’s is directly connected to wage discrimination because women get pulled away from employment as they still tend to be the primary caregivers in their households. It passed the House, but died in the Senate along party lines. Lack of support for policies like these demonstrates the work Colorado must tackle to make a significant contribution to addressing wage discrimination. States are moving in the right direction on this issue, and Colorado can and should be one of them.